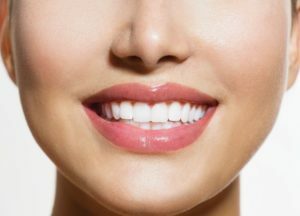 If you’ve been considering an improvement to the overall look of your smile, you’ll gain a lot of benefits through porcelain veneers. Luckily, veneers have been in use for many years, so dentists have had the time to perfect their use. This has made them far more durable and effective at covering up imperfections than previous designs and techniques. No longer are people acting as guinea pigs when it comes to cosmetic treatments. Today, you can walk into the dentist seeking a brighter and whiter smile and know what to expect coming out. According to your dentist, it’s fascinating to learn how porcelain veneers got to where they are today. When Were Veneers First Used? It surprises people when they hear that porcelain veneers have been around for nearly a century. In fact, veneers have been used to cover imperfections in people’s smile since the 1920s, thanks to a man by the name of Dr. Charles Pincus. This California dentist used an acrylic cap designed to fit over the teeth of movie stars while they shot their scenes. Once the movie was in theaters, viewers would stare in awe at their perfect smiles. At this point, veneers were only designed to be worn for a brief period of time and then removed. By the time the 1950s came around, average people were getting veneers to transform their smiles. Dentists were bonding veneers to teeth, but they weren’t staying on properly, so another doctor by the name of Michael Bunocore designed a procedure to improve them. Dr. Bunocore created a procedure that would help patients keep their veneers bonded for much longer periods of time. This entailed lightly etching the tooth’s surface with a mild acid, creating a surface that bonding agent could better adhere to. This made the veneers far more attractive and permanent than before, marking a significant advancement in their use and effectiveness by dentists. How Do Modern Veneers Compare? Today, porcelain veneers are more effective and longer-lasting than ever. Furthermore, they can be shaded to match your existing teeth (which prevents the appearance of fake or “chicklet” teeth) and made super-thin. This allows dentists to remove less tooth enamel when placing porcelain veneers. Dentists are also capable of creating veneers that are far more natural-looking, therefore giving you a more uniform smile. Before placement, your dentist checks the veneer’s fit and appearance in your mouth. If it doesn’t match just right, they’ll either trim it down or have it recreated so it matches the rest of your teeth naturally. Unlike the veneers of the past, you can expect your porcelain veneers to last between 10 and 30 years when properly cared for. This means practicing daily oral care by brushing twice a day with fluoridated toothpaste, flossing daily, and seeing your dentist every six months. After all, you’ll want to take care of your investment. Is today the day you’ll be transforming your smile for life? Schedule an appointment with your dentist today to plan your smile makeover! Dr. Robert Long gained extensive training on many techniques in dentistry while completing his two-year general practice residency at the University Hospital in San Antonio. While attending, he obtained training on complex restorative and cosmetic dentistry, proving his capabilities when reshaping your smile through porcelain veneers. To learn more about his veneer treatments or about the practice, contact him at either of his practices via his website.